the MONTANA EMPTY MARKER 20MM T-TIP comes with a transparent body and an easy-to remove pump valve system for comfortable refilling. 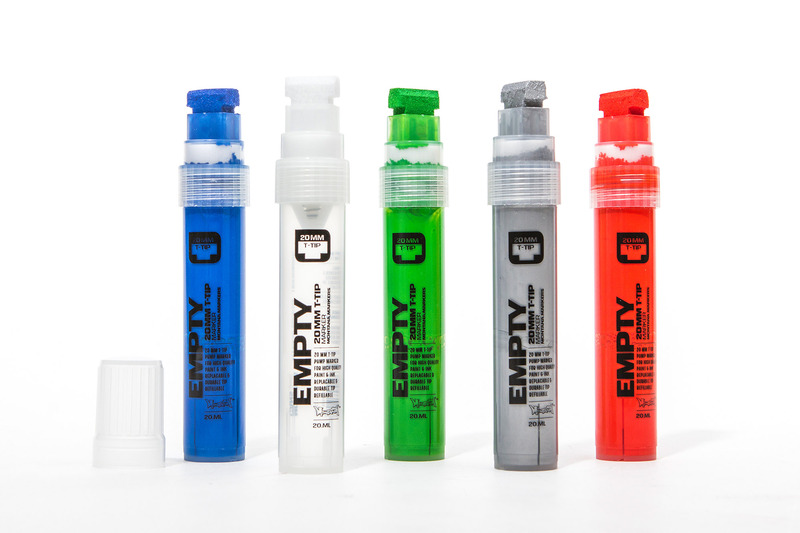 Suitable for all Montana water- and alcohol based paints and inks. Highest Quality made in Germany!